A $5.00 donation to PayPal using the donate button on this page is requested for limited commercial use of this Non-Commercial Version font. DELIRIUM NCV is a narrow, gothic, gaspipe font family with a vintage look, stance and feel. 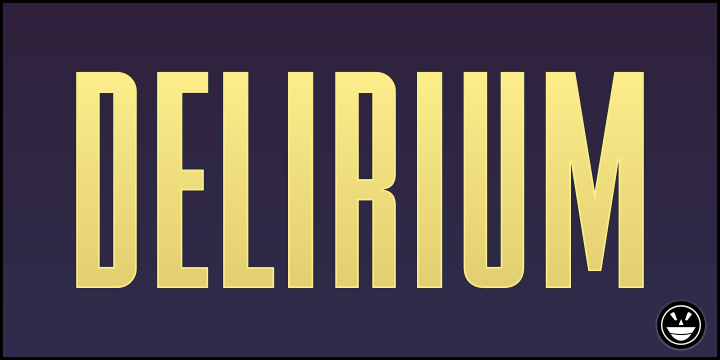 Neon inline effects have been added to DELIRIUM NEON NCV, enhancing the font's overall versatility.